Congratulations to Jessica and William from Lugoff, SC! 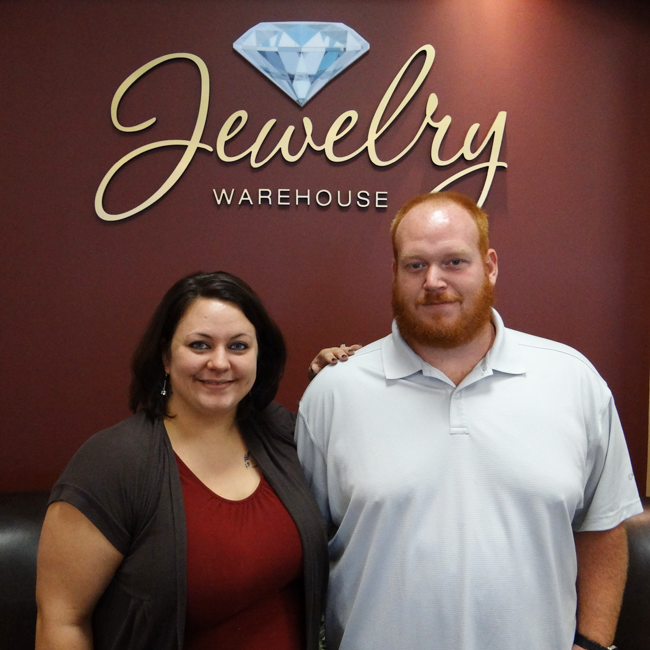 It rained over and 1″ on their wedding day, so they got their diamond wedding ring for FREE! 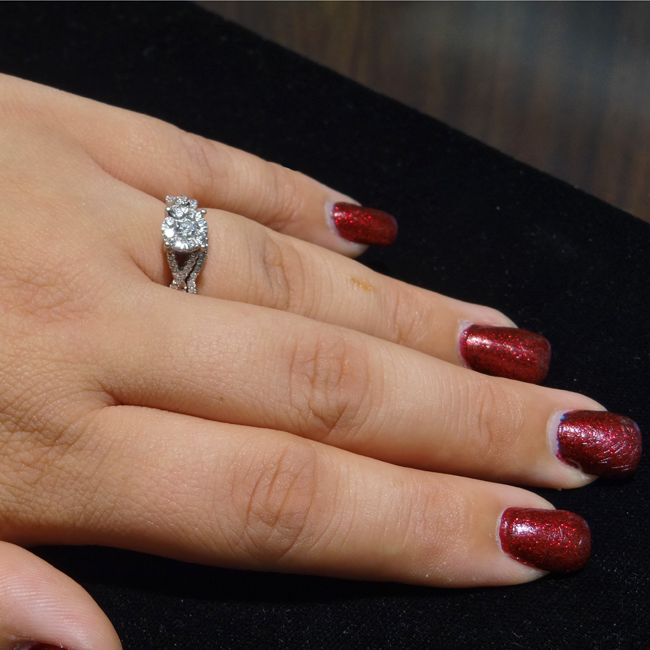 Jessica’s beautiful diamond ring is by Lovebright – You can see her ring online here. The gorgeous Lovebright collection can be seen in our stores or online here. This entry was posted in Jewelry, Jewelry News and tagged diamond jewelry, diamond ring, free diamond ring, jewelers in columbia sc, jewelry warehouse, rainy day guarantee. Bookmark the permalink.